HFT is a national charity supporting people with learning disabilities and their families. Everything they do focuses on helping the people they support live the life they choose, whether that’s in a residential home, at home with their family or in their own home. HFT supports more than 2,500 people with learning disabilities across the county, through a mixture of residential care, supported living and day services or supported employment opportunities. 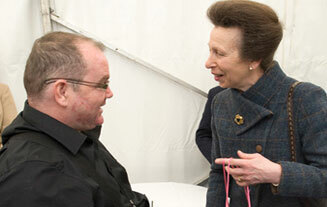 The new and uniquely designed service opened by HFT patron HRH, The Princess Royal, offers nine self contained flats over three floors with a communal garden and 24 hour care and support for up to 9 people. The apartments have been specially designed to support installation of personalised technology which will enable residents to live independently and safely. 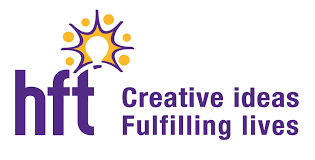 HFT champion the use of technology and the vital role it can play in empowering people with learning disabilities to get the most out of life. We passionately believe that more personalised services within the mainstream community offer the best outcomes for the people we support. The Princess Royal talks to residents as she opens the service.